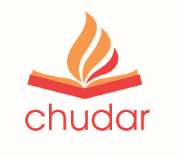 Chudar is an initiative of the registered charitable non-profit Eureka Education Foundation. Once the donation is process is completed, the recepit will be issued in this name. Donations are exempt from tax u/s 80-G of the Income Tax Act in India. A copy of the 80-G certificate will also be sent along with the receipt.